In recent times, violent speech has become a significant issue. It has grown significantly, largely because of the Internet. Some people use the Internet as a way to spread their views, thoughts, or hatred. Offending a person in everyday life is not uncommon, but when it is communicated to the world via the Internet, it becomes much more reprehensible. This is not a recent controversy and certainly will not go away anytime soon. When false accusations are made, free speech can be harmful. Today, there are too many people living in the U.S. or Europe who apparently believe it is their duty to sit behind their computers or to stand behind their podiums telling those in other countries what to do. Free speech is provided by the First Amendment in the U.S., but this speech is not absolute even within the U.S. Free speech is tolerated, but just as defamation can lead to civil liability, often in the millions of dollars, speech which produces or is intended to produce violence and hatred should be monitored and prosecuted. If profanity and objectionable programming can be banned from basic television programming, so should other media venues be restricted. People are free to say what they want, but with the anonymity and use of Internet, this right is being abused. Until we come face to face with complete freedom (press, religion, speech, pursuit of happiness), we as Iranians will never realize the tremendous potential we have. It is precisely because our people have never experienced true freedom that they are intolerant with each other. They reject consensus and look with disdain upon those who disagree with them. Sadly, there are people who simply do not accept reason or logic. One only needs to look at various Internet sites where it is easy to hide behind an assumed name. There are situations where one gets attacked and falsely accused, even threatened, by these anonymous individuals. If they would reveal their identity, there would be a basis to communicate. They justify their anonymity by claiming fear of harm either to themselves or their families. Although they have learned the identity of others, they refuse to reveal their own identities and so are able to make unsubstantiated allegations against others. Apparently some of these accusers believe that the organizations in which others are involved receive large sums of money or political support from various sources. It is interesting to note how some people conveniently “misspell” their names or change their names (even their gender) to attack others. Using a pseudonym in this way is an act of cowardness. There are those who appear to believe words alone are not actionable as forms of assault or crimes. It might be true that there is no law to define when violent speech or writing crosses the line from free expression into criminal advocacy. But certainly there have been judicial decisions where individuals have been held liable for false statements. Free speech is generally protected in the U.S. by the Constitution. However, the line between permitted free expression and speech which loses that protection has proved evasive for courts. But clearly speech is not protected if it advocates unlawful conduct or falsely attacks the character of an individual. At the least such false statements could lead to civil tort liability for defamation and, in extreme cases, criminal liability could result. To amount to defamation, the communication must be published or spoken. Ruining a person’s reputation and opportunities is not part of free speech. What we say about each other defines who we are. We must not let the broad freedom of speech which is permitted in the U.S. mislead us into language which could cause civil and/or criminal liability and which at the least undermines our ability to communicate with and to trust each other. We should seek to support one another and our organizations which are seeking to protect our rights and our identity as Iranians not undermine these organizations or each other. Dr. Mohammad Ala, Professor of Business Management; teaches in Iran, China, and the United States. Professor Ala is founder of Iran Alliance (iranalliance.org) and Iran Heritage (iran-heritage.org) organizations and a board member of Persian Gulf (PersianGulfOnline.org) and Iranians for International Cooperation (iic.org). 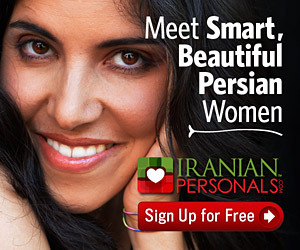 I am a native of Iran (pronounced Eeran NOT Eye-ran). After living and working in many countries, I have become an international business expert. I am an independent business Professor and documentary film producer about environment and creatures in it.